It may be that time of year again, whatever time of year you are reading this from, but you have never experienced this moment before. In any given moment you are constantly changing. Your thoughts, emotions, and perhaps body pain are shifting. Each moment is unique and can never be experienced the same way. This gradual changing movement is ever present. Simple awareness of this brings an understanding that everything is happening right now. No matter what time of year it is within this solar cycle, cosmically it is always the present moment. You are here existing within the endless possibilities and ways of experiencing life and perceiving reality. From an energetically neutral standpoint, it’s amazing to see that reality can be experienced however the perceiver wants it to be. Any action requires energy that is activated by an intention. The intention may be positive or negative, depending upon the desired experience. The human has five senses in which to play out their existence. When the full potential of each sense is realized it can act as a gateway to countless other senses, dimensions, and realities. Most people live within an objective or agreed upon reality and spend their time and mental energy within a first attention state of mind. This means they are very good at every day tasks, every day general living and business duties. However, when it comes to perceiving other types of events, unusual happenings, or what is considered spiritual, day to day distractions may obstruct a second attention viewpoint. This is the state of mind where one can see the symmetry and synergy of life at play. This is an intuitive space where one can tune into their psychic abilities and notice coincidences and synchronicities. This is where creativity plays itself out. What lies beyond the peripheral, underneath, or between the seams of ordinary reality? My passion is to see with all my senses and what I can gather from perceiving with first and second attention. What is happening behind the scenes is truly what sets up the scenes to happen, and this is what interests me the most. all of creation, past, present, future, and simultaneous timelines. We are doing this at any given moment. It’s not something to reach for or to become. We are that, ALL that is and we can become conscious participants in any given moment. For instance, everyone dreams every night whether aware of it or not. Some of the vistas experienced are much different than everyday living, and the dimensional structures of these places defy modern physics and what we know reality to be. Another way to consciously participate is to Shamanic Journey or what is known as a Dream Walk or Guided Imagery. All those other worlds and endless possible realms exist right now in this moment and can be accessed with intention and lightness of heart. A Shaman understands this and is known as the one who knows and sees with their strong eye beyond the veil of everyday life. 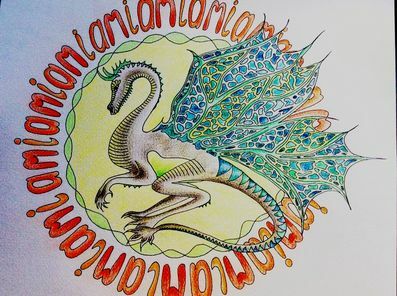 They walk between worlds and bring back vital information for the community, heal sickness, assist in transitional processes such as birth and death, and possess countless other psychic abilities depending upon their specialty. They work side by side with their loving compassionate aspects or guides, and many other beings of light for the benefit of life everywhere. Everyone has the capability to Shamanic Journey, just like everyone dreams at night. However, not everyone has the same way of experiencing it. Some people are visual and see images within their minds eye, whereas others may have their strengths within the auditory sense. Or, some people may experience a combination of senses. But, not everyone has a desire or passion to be a Shaman and dedicate their life to that type of work. They may do it occasionally for themselves, or some loved ones, but do not take it any further than that. For others, it is an expression, a way of being, and a job all at the same time. In any case, we can discover there are endless possibilities and ways of experiencing all of creation by setting an intention, utilizing the five senses, and strengthening our second attention with our first attention. This can be done now in this present moment where everything is happening. Anything can be experienced in any given moment. ​When you look at the world today in can seem to be very daunting depending on your perspective of course, but most people know the world by what they are shown from the media, friends, family, and community. You could say there is almost too much happening these days that it has become an emotional overload on the nervous system of many people and they are being overworked. It has also become difficult to know what the truth is. There are endless distractions to move us away from our own internal guidance system, but at the same time through this oppressive state many are going inward and finding truth in their own way—And, it’s not happening by thinking about it. The mind has a way of keeping us safe, but also has a good way of making us think a lot and continuously search for answers and worry about the past and the future all at the same time. This can get exhausting. When the mind can no longer figure it out, it takes a back seat and allows the inner knowing to speak up. The human experience is being pushed to the limits like it has never been before, and many are finding it challenging to find balance during frequent energy shifts. The only way out for some is literally, out. For others, it is going within themselves. 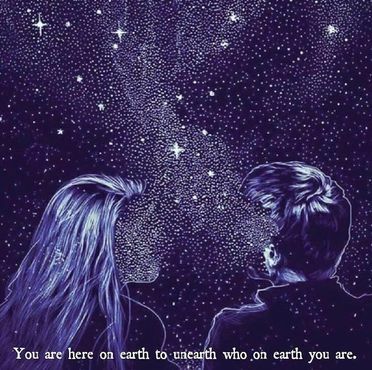 There is an internal happening going on within every individual on the planet right now and that is an awakening or a remembering of who they are. This is bringing a heightened sensitivity to energy and sparking curiosity for many. There is so much to be done to heal the world and humanity, for many this is an everyday reality. It’s a constant pull to do whatever possible in the moment to assist in creating balance within the chaos. For some it’s an inner calling and can no longer be ignored. There is also a small group of individuals who understand the chaos and the ills of the world and know about consciousness and how energy works. 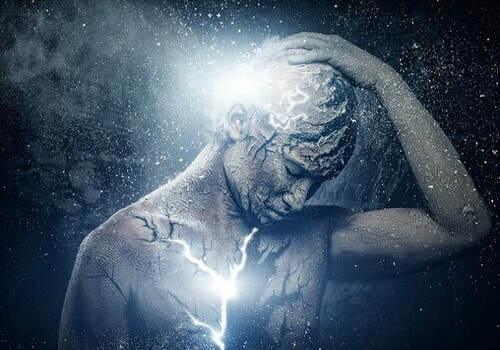 They do not dismiss or ignore these happenings they simply know there are many who are learning lessons and gaining an understanding to the nature of this reality through the chaos. There is no passivity among these individuals. They know that you can choose to remain sanely intact with your energy and then choose wisely on how you intend to use it. This not only helps with balancing the energies all around but is a conscious action in which everyone benefits. There is really no need to take on the mental stress of trying to heal the ills of the world. Living life like that emotionally uses unnecessary energy and can drain an individual, creating more problems on top of the existing ones. Except it can get extremely personal. One benefits from thinking globally and acting locally. The most local place of all is within the heart. Most of the problems in the world have very little to do with you. When you spend time with this notion it’s the simple truth. That is why it is extremely important to become aware of your own energy and thoughts. What you spend your attention on, how you activate your intentions either positive or negative, awareness is the key to understanding everything about yourself and in turn everyone and everything else. Knowing there is nothing wrong with you and you’ve done nothing wrong is a crucial understanding for your personal outlook and on life itself. You are a grand eternal being who is confident in yourself and through this knowing and trusting of the self, the world and all its ways are being transformed simply by your existence. To say the world is a bad place is a broad judgement and reflects one’s state of mind. Bad and good things happen all the time, because everything is happening all the time. Focus, with intention and attention are important to strengthen in these times. They help in seeing a clearer picture of what is really happening in the world. It’s nice to be relaxed when going about trying to save the world. So, understanding that all is truly well everywhere takes some stress off the already highly sensitive individual. It was never your responsibility to save the world, and you thought you understood this. However, somehow it stayed unconsciously close to your energetic sphere, and you found yourself exerting more energy than you had trying to make up for millions of people who are not acting. This can cause burnout, depression, and certainly a skewed viewpoint of the world. Also, pushing energy can create imbalance. As Margaret Mead once said about how the individual can help change the world with her famous quote, “Never doubt that a small group of thoughtful, committed citizens can change the world, it’s the only thing that ever has.” So, this knowing can ease a mind that unconsciously takes on saving the world all alone when there are many others who do the same thing. You don’t have to effort into creating or solving something, and certainly do not need to stress out or worry about the outcome. Alchemy becomes a natural way of life, and responsibility is the ability to respond to what is happening or needed in any given moment. Things just flow when thoughts, emotions, and actions are in balance. It’s like the carpet was laid out to simply walk through life. Will there be challenges along the way? Of course. But how you respond makes the difference. Don’t sweat the small stuff, and most importantly don’t sweat the big stuff. Trust the flow. Sometimes the river is turbulent, sometimes it is calm. Whatever you choose, and however you respond, you are always correct. 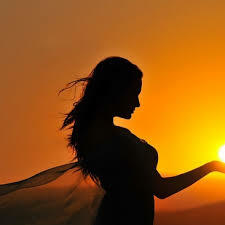 When one is a conscious creator, actions are based on conscious choices of how energy is used in any given circumstance. Knowing and loving the self and consciously acting from this place ultimately supports the world in countless ways.